06/18/18 Gary is playing in the Herald Sun Golf Classic again this year. We wish him the best of luck this week. 06/08/18 We are saddened by the news of the death of our client and friend Chuck Fletcher. click for obit Our prayers and support go out to his family in this time of loss. 05/10/18 We are proud to announce that we have been awarded the design contract for a new fitup project at Penguin Place in Chatham County NC. 03/20/18 We are proud to announce that we have been awarded the design contract for a new fitup project at the Shops at Garner in Garner NC. 03/19/18 We are proud to announce that we have been awarded the design contract for a new fitup project at Park West Plaza in Morrisville NC. 03/12/18 We are proud to announce that we have been awarded the design contract for a new fitup project at the Villages at Sherrills Ford in Sherills Ford NC. 03/07/18 We are proud to announce that we along with Griffin Architects have been awarded the design contract for the rebuild of Water World in Durham NC. 02/22/18 We are proud to announce that we have been awarded the design contract for new fitup projects at Lil Saigon in Conover NC. 02/21/18 We are proud to announce that we have been awarded the design contract for a new fitup project at Waterside Crossing in Denver NC. 02/16/18 We are proud to announce that we along with Milewski Construction have been awarded the design contract for another renovation project at Millpond Village in Cary NC. 02/06/18 We are proud to announce that we along with Milewski Construction have been awarded the design contract for a renovation project at Town Village in Cary NC. 02/01/18 We are proud to announce that we have been awarded the design contract for a new fitup project at Buckwalter Place in Bluffton SC. 01/11/18 We are proud to announce that we have been awarded the design contract for restaurant renovations at Rams Plaza in Chapel Hill NC. 01/11/18 We are proud to announce that we along with Brockwell Associates have been awarded the design contract for renovations to 115 W Main St in Roxboro NC. We continue to have new jobs coming in and need additional staff. Please check our employment page for available opportunities. 12/15/17 We are proud to announce that we have been awarded the design contract for a new fitup project at Wendover Commons in Greensboro NC. 12/14/17 We are proud to announce that we along with Harrison Architecture have been awarded the design contract for a new building project onRoxboro St in Durham NC. 11/30/17 We are proud to announce that we have been awarded the design contract for a new fitup project at Westchester Commons in High Point NC. 11/30/17 We are proud to announce that we have been awarded the design contract for a renovation project at Maynard Crossings in Cary NC. 10/30/17 We are proud to announce that we along with Burdett Associates have been awarded the design contract for a new Rise Biscuits project at Indigo Square in Mt Pleasant SC. 10/30/17 We are proud to announce that we have been awarded the design contract for a new fitup project at Southpoint Professional Bldg in Durham NC. 10/19/17 We are proud to announce that we have been awarded the design contract for a new restaurant project at Chapel Hill North in Chapel Hill NC. 09/26/17 We are proud to announce that we have been awarded the design contract for a renovation project at Town Plaza in Chocowinity NC. 09/25/17 We are proud to announce that we have been awarded the design contract for a new fitup project at The Village at Amberly Square in Cary NC. 09/20/17 We are proud to announce that we have been awarded the design contract for a new fitup project at Patterson Place II in Durham NC. 09/12/17 We are proud to announce that we have been awarded the design contract for a new fitup project at the Morrison in Charlotte NC. 09/06/17 We are proud to announce that we have been awarded the design contract for a new fitup project at Tallywood in Fayetteville NC. 08/25/17 We are proud to announce that we have been awarded the design contract for a new restaurant project at Garner Station in Garner NC. 08/23/17 We are proud to announce that we have been awarded the design contract for a new fitup project at the Corners at Brier Creek in Durham NC. 08/02/17 We are proud to announce that we have been awarded the design contract for a new fitup project at Wellington Village in Cary NC. 07/18/17 We are proud to announce that we have been awarded the design contract for a new fitup project at Mallard Point in Charlotte NC. 07/07/17 We are proud to announce that we have been awarded the design contract for a new restaurant project on Franklin St in Chapel Hill NC. 06/30/17 We are proud to announce that we have been awarded the design contract for a new restaurant project at Mini-City in Raleigh NC. 06/05/17 We are proud to announce that we have been awarded the design contract for a new fitup project at Spring Lake Shopping Center in Spring Lake NC. 05/27/17 We are proud to announce that we have been awarded the design contract for a new fitup project at Town Square in Raleigh NC. 05/15/17 We are proud to announce that we have been awarded the design contract for a new restaurant project at Southpoint Professional Bldg in Durham NC. 05/11/17 We are proud to announce that we have been awarded the design contract for a new fitup project at Ogden Marketplace in Wilmington NC. 04/28/17 We are proud to announce that we have been awarded the design contract for a new fitup project at Winsor Square in Matthews NC. 04/19/17 We are proud to announce that we have been awarded the design contract for a new fitup project at Winsor Manor in Raleigh NC. 04/10/17 We are proud to announce that we have been awarded the design contract for a new fitup project at Alexander Place in Raleigh NC. 04/03/17 We are proud to announce that we have been awarded the design contract for a new fitup project at the Retail Shops in Clayton NC. 04/01/17 We are proud to announce that we have been awarded the design contract for a new fitup project at Pavilion Hill in Charlotte NC. 03/24/17 We are proud to announce that we along with M2 Architecture have been awarded the design contract for the new Melting Pot restaurant project at Southpointe Crossing in Durham NC. 03/08/17 We are saddened by the news of the death of Jim's mother Cleo Ashworth Barrett. click for obit Our prayers and support go out to his family in this time of loss. 03/06/17 We are proud to announce that we have been awarded the design contract for the new ROMA Pizza project at Franklinton Square in Franklinton NC. 03/03/17 We are proud to announce that we have been awarded the design contract for a new fitup project at Hanfield Village in Indian Trail NC. 03/02/17 We are saddened by the news of the death of architect George Williams. click for obit Our prayers and support go out to his family in this time of loss. 03/02/17 We are proud to announce that we have been awarded the design contract for a new restaurant project at Park Plaza in Morrisville NC. 02/23/17 We are proud to announce that we have been awarded the design contract for a new fitup project at McCrimmon Corners in Morrisville NC. 02/07/17 We are proud to announce that we have been awarded the design contract for a new restaurant project at Friendly Center in Greensboro NC. 01/28/17 We are proud to announce that we have been awarded the design contract for a new fitup project at Holly Springs Village in Holly Springs NC. 01/04/17 We are proud to announce that we along with Ripperton Architects have been awarded the design contract for the new Bridge2Sports project in Durham NC. 12/16/16 We are proud to announce that we have been awarded the design contract for a new fitup project at Kildaire Farms in Cary NC. 07/21/17 City Garden Nail Bar in Cary is now open for business. Good Luck Andy. 12/07/16 We are proud to announce that we have been awarded the design contract for a new fitup project at Bull City Market in Durham NC. 12/02/16 We are proud to announce that we have been awarded the design contract for a new fitup project at Christenbury Corners in Concord NC. 10/28/16 We are proud to announce that we have been awarded the design contract for a new fitup project at 1301 Hillsborough in Raleigh NC. 02/03/17 Hillsborough Mart is now open for business. Good Luck Fahmi. 10/26/16 We are proud to announce that we have been awarded the design contract for new fitup projects at Riverbend in Charlotte NC. 10/24/16 We are proud to announce that we have been awarded the design contract for new fitup projects at Wake Forest Crossings in Wake Forest NC. 09/26/16 We are proud to announce that we have been awarded the design contract for a renovation project at Falls River in Raleigh NC. 04/11/17 Sweet Heart Treats in Raleigh is now open for business. Good Luck Mary. 09/22/16 We are proud to announce that we have been awarded the design contract for Serenity Waxing Studio in Burlington NC. 05/01/17 Serenity Wax in Burlington is now open for business. Good Luck Lee. 09/12/16 We are proud to announce that we have been awarded the design contract for new fitup projects at Spout Springs Shoppes in Cameron NC. 09/06/16 We are proud to announce that we have been awarded the design contract for new fitup projects at Olive Park in Raleigh NC. 09/01/16 We are proud to announce that we have been awarded the design contract for a new fitup project at The Boundary at West End in Greenville NC. 08/19/16 We are proud to announce that we have been awarded the design contract for new fitup projects at Magnolia Park in Greenville SC. 08/17/16 We are proud to announce that we have been awarded the design contract for new fitup projects at Barclay Pointe in Wilmington NC. 09/01/17 Grand Nails Salon in Wilmington is now open for business. Good Luck Andy. 08/09/16 We are proud to announce that we have been awarded the design contract for new fitup projects at Solis on Ninth in Durham NC. 04/17/17 Bliss Nail Bar is now open for business on Ninth St in Durham. Good Luck Susan. 08/01/16 We are proud to announce that we have been awarded the design contract for new fitup projects at Prosperity Village in Charlotte NC. 07/27/16 We are proud to announce that we have been awarded the design contract for new fitup projects at Carolina Forest in Jacksonville NC. 07/22/16 We are proud to announce that we have been awarded the design contract for new fitup projects at Long Beach Crossing in Southport NC. 07/22/16 We are proud to announce that we have been awarded the design contract for new fitup projects at Park West in Morrisville NC. 07/13/16 We are proud to announce that we have been awarded the design contract for new fitup projects at the Shops on Skibo in Fayetteville NC. 07/07/16 We are proud to announce that we have been awarded the design contract for new fitup projects at Ebinport Market in Rockhill SC. 06/28/16 We are proud to announce that we have been awarded the design contract for new fitup projects at Redstone in Indian Lake SC. 06/03/16 The Nail Stop is now open for business on 751 in Durham. Good Luck Monica. 06/03/16 Valencia Nails is now open for business on Strickland Rd in Raleigh. Good Luck. 05/18/16 We are proud to announce that we have been awarded the design contract for new fitup projects at Publix Pointe in Apex NC. 09/01/17 Grand Nails Salon in Apex is now open for business. Good Luck Andy. 04/21/16 We are proud to announce that we have been awarded the design contract for renovations to La Brasa mexican restaurant in Raleigh NC. 04/21/16 We are proud to announce that we have been awarded the design contract for new fitup projects at Morganton Park in Southern Pines NC. 04/20/16 We are proud to announce that we have been awarded the design contract for new fitup projects at Alston Town Center in Cary NC. 03/15/16 We are proud to announce that we have been awarded the design contract for renovations to Olive Tree Market in Cary NC. 03/14/16 We are proud to announce that we along with Surface678 have been awarded the site design contract for several projects at BCBS in Durham NC. 03/03/16 We are proud to announce that we have been awarded the design contract for new Pholicious Vietnamese Soup projects at Concord Mills Mall in Concord NC. 02/19/16 We are proud to announce that we have been awarded the design contract for new fitup projects at Riverside Crossing in Greer SC. 02/18/16 We are proud to announce that we have been awarded the design contract for new fitup projects at Weston Corners in Cary NC. 02/16/16 We are proud to announce that we have been awarded the design contract for several new T-Mobile fitup projects in Raleigh, Charlotte, Winchester VA, Winson-Salem and Wilmington. 02/05/16 We are proud to announce that we have been awarded the design contract for new fitup projects at White Oak NE in Holly Springs NC. 02/01/16 We are proud to announce that we along with Hinds Architects have been awarded the renovation project for Schaffer Workshop in Raleigh NC. 01/28/16 We are proud to announce that we have been awarded the design contract for new fitup projects at White Oak NE in Garner NC. 01/25/16 We are proud to announce that we have been awarded the design contract for new fitup projects at Hamilton Center in Durham NC. 01/04/16 We are proud to announce that we have been awarded the design contract for new fitup projects at 211 Midway in Oak Island NC. 12/17/15 We are very saddened by the news of the death of Sabih Jirjis. click for obit He was a good client and a fine fellow. H will be sorely missed. 12/05/15 We are proud to announce that we have been awarded the design contract for new fitup projects at St Stephens Village in Hickory NC. 12/03/15 We are proud to announce that we have been awarded the design contract for new fitup projects at Heritage Village in Wake Forest NC. 11/30/15 We are proud to announce that we have been awarded the design contract for new fitup projects at The Avenue in Murfreesboro TN. 10/20/15 We are proud to announce that we have been awarded the design contract for new fitup projects at The Market at Perimeter Park in Morrisville TN. 10/20/15 PaintBar Nail Salon is now open for business near Glenwood South in Raleigh. Good Luck Catherine and Heather. 10/14/15 We are proud to announce that we along with GS Architecture have been awarded the design contract for new Parkway Family Dentistry project in Chatham County NC. 10/14/15 Duraleigh Pizza is now open for business. Good luck Hashem. 09/29/15 Soapy Soap Laundromat in now open for business on Fayetteville St in Durham. Good Luck Maricoma. 09/24/15 We are proud to announce that we have been awarded the design contract for new fitup projects at Kendrick Crossing in Gastonia NC. 09/01/15 Embassy Nails in now open for business at Parkside Commons in Cary. Good Luck James. 08/17/15 We are proud to announce that we have been awarded the design contract for Mclean House renovation project in Washington NC. 08/12/15 Nishiki Sushi in now open for business at Parkside Commons in Cary. Good Luck Shirley. 08/11/15 We are proud to announce that we have been awarded the design contract for Cold off the Press renovation project in downtown Raleigh. 08/06/15 We are proud to announce that we have been awarded the design contract for Gorilla Cafe project in Raleigh. 08/04/15 We are proud to announce that we have been awarded the design contract for Quickly Coffee project at McCrimmon Corners in Morrisville NC. 07/15/15 We are proud to announce that we have been awarded the design contract for new fitup projects at SunValley Commons in Indian Trail NC. 07/03/15 We are proud to announce that we have been awarded the design contract for new fitup projects in The L at Davie in Raleigh. 06/25/15 We are proud to announce that we along with Harrison Architecture have been awarded the design contract for Pardrea's Sports Cafe in Raleigh. 06/08/15 We are proud to announce that we along with Harrison Architecture have been awarded the design contract for Oxford Market in Oxford NC. 06/03/15 Brilliant Nail Spa in now open for business at Bradford Commons in Cary. Good Luck Vinh. 05/14/15 We are proud to announce that we have been awarded the design contract for new fitup projects at Berkeley Commons in Goldsboro NC. 05/07/15 We are proud to announce that we have been awarded the design contract for Millpond Dance at Millpond Village in Cary. 05/04/15 We are proud to announce that we have been awarded the design contract for new fitup projects in Antiquity in Cornelius NC. 05/02/15 We are proud to announce that we have been awarded the design contract for new fitup projects in Main Street Square in Holly Springs. 04/27/15 We are proud to announce that we have been awarded the design contract for new fitup projects in Rivergate South in Charlotte. 04/20/15 We are proud to announce that we have been awarded the design contract for new fitup projects in Walnut Place II in Cary. 04/20/15 We are proud to announce that we along with Griffin Architects have been awarded the design contract for All Saints UMC Church in Durham. 04/15/15 We are proud to announce that we have been awarded the design contract for new fitup projects in Wake Forest Crossings in Wake Forest. 04/15/15 We are proud to announce that we have been awarded the design contract for new fitup projects in Ravenstone Commons in Durham. 04/01/15 Purple Monkey Boba Tea & Ice Cream in now open for business at BB&T Plaza in Durham. Good Luck Bo. 04/01/15 We are proud to announce that we have been awarded the design contract for new fitup projects in the Skyhouse Building in Raleigh. 03/18/15 We are proud to announce that we along with Chandler Architects have been awarded the design contract for Fiesta Mexicana in Youngsville NC. 03/09/15 We are proud to announce that we have been awarded the design contract for new fitup projects at Duraleigh Corners in Raleigh. 02/27/15 We are proud to announce that we have been awarded the design contract for new fitup projects in the Southern Pines Village in Southern Pines. 02/25/15 We are proud to announce that we have been awarded the design contract for new fitup projects in the 425 Boylan Building in Raleigh. 02/19/15 We are proud to announce that we along with MHA Works have been awarded the design contract for Bordeaux Construction office expansion project in Durham. 02/15/15 Marvelous Nails Spa in now open for business at Homestead Market in Durham. Good Luck Stacey. 01/30/15 Who Nu. 54 years in consulting and 12 years with Sunderland Engineering, Ed Cheek is retiring. We wish him the best as he moves on to the best parts of life. Thank You Ed. 01/28/15 La Vie Nails in now open for business at 401 Oberlin in Raleigh. Good Luck. 01/20/15 K-Mix Karoke & Bar in now open for business at Westgate Shopping Center in Durham. Good Luck Tony. 01/15/15 Blistered Pig in now open for business in Apex. Good Luck Steve. 01/12/15 SoHo Nails Spa in now open for business at Renaisance Place in Cary. Good Luck Kim. 11/25/14 We are proud to announce that we have been awarded the design contract for new fitup projects in Western Forum Plaza in Jacksonville. 09/26/14 We are proud to announce that we have been awarded the design contract for the WOCC satellite campus in Raleigh. 09/26/14 We are proud to announce that we have been awarded the design contract for new renovation projects in Six Forks Station in Raleigh. 09/15/14 We are proud to announce that we have been awarded the design contract for new fitup projects in Strickland Plaza in Raleigh. 09/15/14 We are proud to announce that we have been awarded the design contract for new fitup projects in Pinnacle Plaza in Bristol TN. 09/15/14 We are proud to announce that we have been awarded the design contract for new fitup projects in Palladium Plaza in High Point. 09/06/14 We are proud to announce that we have been awarded the electrical design contract for the Trinity school project in Durham. 09/01/14 Phydeaux Pet Shop in now open for business in Cary. Good Luck Frank. 08/25/14 We welcome Jim Barrett as he joins the team as Plumbing & Mechanical Designer. 08/21/14 We are proud to announce that we along with Harrison Architecture have been awarded the design contract for Carolina Elite project in Durham. 08/13/14 We are proud to announce that we have been awarded the design contract for Vine Asian Bistro in Pittsboro. 08/11/14 We are proud to announce that we along with Hart Design Group have been awarded the design contract for D'Wills Social Lounge and Bistro in Durham. 08/08/14 We wish Serena the best as she moves on to seek new opportunities in Wilmington NC. 08/05/14 We are proud to announce that we have been awarded the design contract for K-Mix Karaoke in Durham. 06/20/14 We are proud to announce that we have been awarded the design contract for several new fitup projects in Bradford Place in Cary. 06/10/14 We are proud to announce that we have been awarded the design contract for several new fitup projects in Parkside Commons II in Cary. 05/21/14 Signature Nail Spa in now open for business at Parkside Commons in Cary. Good Luck Scott. 05/12/14 We are proud to announce that we have been awarded the design contract for several new fitup projects in 401 Oberlin in Raleigh. 03/31/14 We are proud to announce that we have been awarded the design contract for new fitup projects in Village Square in Cary. 03/04/14 We are proud to announce that we have been awarded the site lighting design contract for several new BP projects in Chapel Hill and Durham. 02/26/14 We are proud to announce that we have been awarded the design contract for new fitup projects in Creedmoor Point in Raleigh. 02/10/14 We are proud to announce that we along with Burdett Architects have been awarded the design contract for the restaurant renovation project in Falls Village in Raleigh. 02/10/14 We are proud to announce that we have been awarded the design contract for the New Japan restaurant project at the Village in Durham. 01/31/14 We are proud to announce that we have been awarded the design contract for new fitup projects in Hickory NC. 01/23/14 We are proud to announce that we along with Ripperton Architects have been awarded the design contract for the Phydeaux Pet Store project in Cary. 01/10/14 We are proud to announce that we have been awarded the electrical design contract for Cresset Academy renovation project in Durham. 01/07/14 We are proud to announce that we along with Cannon Architects have been awarded the design contract for the new Blistered Pig BBQ restaurant project in Apex. 12/20/13 We are proud to announce that we along with Planworx Architects have been awarded the renovation design contract for Durham Rescue Mission project in Durham. 12/19/13 We are proud to announce that we along with Burdett Architects have been awarded the design contract for several new renovation projects in Triangle Town Center in Raleigh. 12/04/13 We are proud to announce that we along with Burdett Architects have been awarded the design contract for Byrd Hardware in Raleigh. 11/21/13 We are proud to announce that we have been awarded the design contract for Element Beauty Bar at Palladium in Raleigh. 09/10/13 We are proud to announce that we have been awarded the design contract for SunRise Body Care in Macgregor Village in Apex. 09/04/13 We are proud to announce that we have been awarded the design contract for Parkside Nails in Cary. 08/19/13 We are proud to announce that we along with RWC Architects have been awarded the design contract for PHT frat house renovation in Chapel Hill. 08/08/13 We are proud to announce that we have been awarded the design contract for Macgregor Nails and Tan in Cary. 07/24/13 We are proud to announce that we have been awarded the design contract for Birkdale Nails in Charlotte. 06/21/13 We are proud to announce that we along with MHA Works have been awarded the design contract for the Kirby Theater renovation project in Roxboro. 06/05/13 We welcome Damian Dienstfrie as he joins the team as Electrical Summer Intern. 05/11/13 We are proud to announce that CAARE held an Open House and Ribbon Cutting ceremony for the new Veterans Housing project in Durham. Congratulations Sharon on the successful completion of this facility. 03/25/13 We are proud to announce that we along with Plageman Architecture have been awarded the design contract for the Funfusion indoor playspace project in Mebane. 03/18/13 We are proud to announce that we have been awarded the design contract for new fitup projects in Belgate Charlotte. 01/30/13 We are very saddened by the news of the death of Tina Marie Raneri. click for obit She will be sorely missed as a important member of our team. 01/21/13 We welcome Leroy Wilson as he joins the team as Electrical/Mechanical Designer. 12/15/12 We are proud to announce that all renovation projects in Croasdaile Commons are now complete and open for business. 11/05/12 We are proud to announce that we along with Finley Architecture have been awarded the design contracts for new building projects in Lumberton and Greenville. 08/30/12 We are proud to announce that the Refectory Cafe in Durham is now open for business. 08/27/12 We are proud to announce that we along with Finley Architecture have been awarded the design contracts for new building projects in Wilmington and Raleigh. 07/23/12 We are proud to announce that we have been awarded the design contracts for several new fitup projects in New Hill, Holly Springs. 06/20/12 We are proud to announce that The UPS Store in the newly redeveloped Croasdaile Commons is now open in their new location. KD Nails, Prestige Cleaners and El Corral are soon follow. 06/12/12 We are proud to announce that we along with MHA Works have been awarded the design contract for Durham Public Schools renovation projects in Durham, NC. 05/23/12 We are proud to announce that we along with Griffin Architecture have been awarded the design contract for the Refectory Restaurant project in Durham, NC. 05/17/12 We welcome back Cindy Daniels Hall as she rejoins the team as Electrical Designer. 05/04/12 We are proud to announce that we along with Burdette Architects have been awarded the design contract for several Burger King renovation projects in the area. 03/14/12 We are proud to announce that we along with Hart Design Group have been awarded the design contract for several Parkwest Barber School projects in the area. 02/09/12 We are proud to announce that we have been awarded the design contract for several Yopop Yogurt projects in the area. 01/17/12 We are proud to announce that we along with GS Architecture have been awarded the design contract for the RFHIC manufacturing redevelopment project in Morrisville, NC. 01/10/12 We welcome Serena Sunderland as she joins the team as Intern Office Manager. 01/03/12 The old year has past and we are glad the year is starting out on a good note with new clients calling every day. 12/26/11 We are proud to announce that we have been awarded the design contract for 2 new vanilla box fitups in Belmont Station, Pittsboro, NC. 12/22/11 To all our clients and friends, A Merry Christmas and Happy New Year to you and all of yours. 12/18/11 We are proud to announce that World Overcomers Church is now in their new facility. 12/13/11 We are proud to announce that we have been awarded several design contracts for fitups in the Croasdaile Commons redevelopment project in Durham. 11/07/11 We are proud to announce that we have been awarded the design contract for a new nail salon project in University Pointe, Charlotte, NC. 11/04/11 We are proud to announce that we along with Architect David Burdette have been awarded the design contract for the Party City project in North Charleston, SC. 10/27/11 We are proud to announce that we along with Finley Architecture have been awarded the design contract for the Shiki Sushi restaurant expansion project in Durham. 10/26/11 We are proud to announce that we have been awarded the design contract for the Town of Stem Volunteer Fire Dept storage building project. 09/28/11 We are proud to announce that Mitch's Bar and Grill on 9th Street is now open for business. 09/27/11 A Thank You to Architect Chad Chandlier who continues to bring in new projects for us. 09/21/11 We are proud to announce that we have been awarded the electrical coordination study and short circuit analysis for SECU building in Downtown Raleigh. 09/16/11 We are proud to announce that we have been awarded the engineering design contract for new Hibachi Buffet in Raleigh. 09/06/11 We are proud to announce that we have been awarded the electrical coordination study and short circuit analysis for Extron Electronics in Raleigh. 08/22/11 We are proud to announce that we along with Plageman Architecture have been awarded the design contract for another new Moe's Southwest Grill in Monroe. 08/22/11 We are proud to announce that we along with Architect Chad Chandlier have been awarded the design contract for another new Fantastic Sam's in Wakefield Commons, Raleigh. 08/12/11 We are proud to announce that we have been awarded the engineering design contract for new Zilo African Restaurant in Raleigh. 07/20/11 I think the recessions have finally hit us, Ed is chasing new work again. 07/06/11 We are proud to announce that we along with GS Architecture have been awarded the design contract for several fitup projects in Central Professional Park in Durham. 06/20/11 Gary is playing in the Herald Sun Golf Classic again this year. We wish him the best of luck this week. Well at least he had fun. 06/20/11 We are proud to announce that Machu Picchu Peruvian Cuisine in Raleigh is now open. We wish Gloria and Victor the best in this new restaurant venture. You have to try this place, It is fantastic. Gloria has the best use of flavors in her food that you could ever imagine. 06/15/11 We are proud to announce that we along with Plageman Architecture have been awarded the design contract for new Moe's Southwest Grill and Cold Rock Yogurt in Mebane. 06/04/11 We are proud to announce that East 54 building 100 has been upgraded to LEED Platinum by the USGBC. Congratulations Lee and the entire design team. 05/27/11 Delwin has decided to move to Birmingham, Alabama to take care of family business. We wish him the best as he moves on again. 05/19/11 We are saddened to hear of the death Tina's sister Marci A Raneri. Our prayers and support go out to her family in this time of loss. 04/28/11 We are proud to announce that we along with Architect Chad Chandlier have been awarded the design contract for several new Fantastic Sam's projects in the area. 04/27/11 We are saddened to hear of the death of Rockin Ron Wood. Ron was a good friend and the first hired employee back in 1998. Our prayers and support go out to his family in this time of loss. 04/15/11 We are proud to announce that Hibachi Japanese Buffet in Holly Hill Mall, Burlington is now open for business. 04/14/11 We are proud to announce that we have been awarded the design contracts for Devils Pizzeria and Mitch's Bar on Ninth Street in Durham,. 04/07/11 We are proud to announce that we along with Ballentine Assoc. have been awarded the site lighting design contract for IFC Community House in Chapel Hill. 04/05/11 We are proud to announce that we have been awarded the design contract for Hibachi Blue, Signature Nail Spa and Fantastic Sam's in the new Park West in Morrisville NC. 03/30/11 We are proud to announce that we along with Fanning Howey Architects have been awarded the design contract for World Overcomers Sanctuary Expansion Project in Durham. 03/25/11 We are even more saddened now by the death of Delwin's father, Judge David Barnes. Our continued prayers and support go out to Delwin and his family in this time of great loss. 03/23/11 We are proud to announce that we along with architect David Ripperton, have been awarded the design contract for the reconstruction of the historic Creedmoor Train Station. 03/20/11 We are proud to announce that we have been awarded the design contract for Signature Nail Spa in the new Market At Colonnade in Raleigh. 03/16/11 We are happy to announce that Zack Tomlin has agreed to come back to help us out part time with some of our current projects. 03/14/11 We are saddened by the death of Delwin's mother, Mrs Erma Jean Barnes. Our prayers and support go out to Delwin and his family in this time of loss. 03/11/11 We are proud to announce that we have been awarded the electrical design contract for the 75KW Solar Photovoltaic power plant in Garner NC. 03/04/11 We are proud to announce that East 54 building 100 has been awarded LEED Gold by the USGBC. Building 100 is the 9th Core & Shell building in the state and the first in the Chapel Hill area to be awarded LEED-Gold. 03/02/11 We are proud to announce that we have along with HART Design Group, have been awarded the design contract for the Apex School of Theology Project in Durham NC. 02/18/11 We are proud to announce that we have been awarded the HVAC design contract for the TROSA Dormitory Project in Durham NC. 01/27/11 We are proud to announce that we have been awarded several new fitup and renovation contracts with architect Chad Chandler. 01/22/11 We are proud to announce that we have been awarded the design contract for the generator replacement project for SAVA in Kenansvillle NC. 01/15/11 Happy New year and wow what a start. A new project and a new client nearly everyday so far. 12/29/10 We are proud to announce that we have been awarded the design contract for the outdoor seating project at Pomodora's restaurant in Durham. 12/20/10 We are proud to announce that we have been awarded the design contract for a new restaurant project at Avent Ferry Shopping Center in Raleigh. 11/25/10 Happy Thanksgiving to all of you, and we wish you a Merry Christmas as well. 11/15/10 We are proud to announce that we along with RWC Architects have been awarded the design contract for the dining room expansion project for Bills BBQ in Wilson. 10/30/10 Delwin is taking the PE test again this weekend. We are all hoping for the best this time. 09/30/10 We are proud to announce that we have been awarded the design contract for the restaurant renovation project for Machu Picchu Peruvian Cuisine in Raleigh. Look for them to be opening soon. 06/20/11 Machu Picchu Peruvian Cuisine is now open for business. Also visit their facebook page for weekly specials. 09/28/10 We are hoping to be awarded the engineering design contract for World Overcomers Church sanctuary expansion project in RTP. 09/22/10 We are proud to announce that we along with DTW Architects have been awarded the design contract for the completion of the 3 story apartment building off Cole Mill road in Durham. This will be an additional facility for Housing for New Hope. 08/28/10 Gary and his family are on vacation this week in the outer banks. Tina is in charge of the office and Hurricane Earl is lurking in the Atlantic, what a combination. 08/16/10 We are proud to announce that we have been awarded the design contract for the new Beverly Nail Spa project at Falls Pointe in Raleigh. 08/06/10 We are proud to announce that we have been awarded the design contract for the new Soho Nail Spa fitup project in the new Shoppes at Oxford. 08/03/10 We are proud to announce that we along with GS Architecture have been awarded design contract for the HEAG Pain Clinic at Central Medical Park in Durham. 07/30/10 We are proud to announce that we have been awarded the design contract for the Hibachi Japan restaurant reconstruction project at Holly Hill Mall in Burlington. 05/15/11 Hibachi Japanese Buffet is now open for business. 07/27/10 We are proud to announce that we along with AKTAI architects have been awarded the design contract for the Yucatan Cantina restaurant project in Morrisville. 07/26/10 We are proud to announce that we have been awarded the design contract for the Azeem Family Practice fitup project in Holly Sprngs. 01/17/11 The Triangle Family Medicine clinic is now open we wish Dr Samreen the best. 07/20/10 We are proud to announce that we have been awarded the design contract for Jake's Hamburger. Another fitup in Shiloh Crossings in Morrisville. 12/22/10 Jake's is now open for business, good luck Priya. Check out their facebook page for specials. 07/12/10 We are proud to announce that we have been awarded the design contract for Signature Nail Spa project in Charlotte. 07/01/10 We are proud to announce that we entering our 16th year in business and are surprised to have counted 1150 projects designed since 1994. Thank you for your support and your continued referrals. 06/24/10 We are proud to announce that we have been awarded the design contract for CBS Quality Cars automotive repair facility renovation in Durham. Look for them to be reopening soon. 04/15/10 Delwin Barnes is back. After a few years of working for the big guys, and a stint at Mr. Mom, Delwin rejoins the firm as mechanical designer. Welcome back Delwin. 04/01/10 We are proud to announce that we along with AKTAI architects have been awarded the design contract for a lobby renovation projects at Two Rivers in New Bern NC, in Ridgeway NC and Matte Hall in Aiken SC. More UHS-Pruitt facilities. 03/23/10 We are proud to announce that we have been awarded the design contract for several fitup projects at the new Forestville Commons in Wake Forest NC. 02/17/10 Gary L Sunderland has received his professional registration in the State of South Carolina. We now look forward to providing engineering design services for projects in South Carolina, as well as North Carolina and Virginia. 02/01/10 We are proud to announce that we along with AKTAI architects have been awarded the design contract for a renovation/expansion project at Heritage Healthcare in Elkin NC. Another UHS-Pruitt facility. 01/01/10 2009 has ended sadly well below expectations, but we look forward to another new and profitable year in 2010. 12/07/09 We are proud to announce that we along with MHAWorks have been awarded the design contract for a renovation project at the UNC dialysis center in Sanford NC. 11/04/09 We are proud to announce that we along with MHAWorks and CEGroup have been awarded the design contract for the New Japan restaurant building project at Bellmont Station in Pittsboro NC. 10/20/09 We are proud to announce that we along with GH Williams Collabarative have been awarded the design contract for a veterans transitional housing project at CAARE in Durham NC. 08/14/09 We are proud to announce that we have been awarded the design contracts for several new fitup projects at Shiloh Crossings in Morrisville. 07/15/10 XJ Nail Salon and Neo Japan Restaurant are now open for business good luck to both of them. 07/28/09 We are proud to be able to provide engineering design services for the lobby upgrade project at Summit Church West Club campus. 07/16/09 We continue to provide Electrical Coordination Studies, Short Circuit Analysis and Arc-Flash reports using SKM software. Please contact us if we can assist you with any of services. 06/02/09 We are proud to announce that we along with Maurer Architects have been awarded the design contract for additional fitup projects in the Castila building in Chapel Hill. 05/13/09 We are proud to announce that we have been awarded the engineering design contract for renovations to the Carolina Point rehabilitation facility in Durham. 01/14/10 UHS-Pruitt held an open house at its newly renovated facility. click this link for Pruitt press release Thanks to Tim Kurmaski with AKTAI and Scott Dawson with Engineered Construction for the success of this project. 05/11/09 New Employees - Andrew Hollen and Michael Hobgood. Andrew just finished his second year in the engineering program at NC State and rejoins the firm as a Summer Intern. Michael has finished his first year in the architectural program at NC State and also joins the firm as a Summer Intern. 04/13/09 We are proud to announce that we have been awarded the engineering design contract for additional fitup projects in the East 54 building in Chapel Hill. 04/08/09 We are proud to announce that we have been awarded the engineering design contract for the Cutting Board restaurant project to occupy the lower level of the historic Bank of Reidsville building. 06/28/10 The Cutting Board restaurant is now open for business. 12/24/10 Sadly the Cutting Board in Reidsville has already closed. 04/01/09 We are proud to announce that we have been awarded the engineering design contract for the new video campus project at the Summit Church in Durham. 01/30/09 Life is good and we are proud to be in Durham. Open House plans were underway however they have been delayed for now. 01/15/09 We are proud to announce that we have been awarded the plumbing design contract for the renovations to historic Health Department building in downtown Durham. 11/21/08 We are proud to announce that we have been awarded the engineering design contract for the Agape Corner school renovation project on Holloway Street in Durham. 10/31/08 We are proud to announce that we have been awarded the engineering design contract for the ball field and tennis court relighting projects for Parks and Recreation in Chapel Hill. 10/28/08 We are proud to announce that we along with New City Design Group have been awarded the engineering design contract for the renovations to the historic Bank of Reidsville in Reidsville NC. The plan includes upper level condos plus future lower level restaurant and retail tenants. 09/08/08 We are proud to announce that we have been awarded the electrical design contract for the 750KW Solar Photovoltaic power plant in Person County. 07/01/08 Promotion - Tina Raneri has been promoted to Office Manager. 06/27/08 We are proud to announce that we have been awarded the engineering design contracts for several upfit projects at Alexander Place in Raleigh, High Street in Williamsburg VA, Rutland Commons and Peninsula Commons in Hampton Co VA, and at Midtown Commons in Knightdale. 05/24/08 We are proud to announce that we have been awarded the contract for electrical coordination study and short circuit analysis for the United Therapeutics facility in RTP. 05/14/08 New Employee - Andrew Hollen. We welcome Andrew as he joins the firm as a Summer Intern. Andrew just finished his first year in the engineering program at NC State. 04/02/08 We are proud to announce that we have been awarded the design contract for several new fitup projects in the Hope Valley Commons project in Durham NC, and in Gastonia NC and White Oak in VA.
03/20/08 We are proud to announce that we have been awarded the plumbing and electrical design contracts for the residential condos at the Castilia at Meadowmont building in Chapel Hill. 02/20/08 We are proud to announce that we have been awarded the engineering design contract for two office/retail projects at Powell Place in Pittsboro. 02/20/08 We are proud to announce that we have been awarded the engineering design contract for the new restaurant project in the historic Baldwin building in downtown Durham. 12/20/08 Revolutions has opened the restaurant for business. Good luck Jim. 01/18/08 New Employee - Rob Warren. We welcome Rob as he joins the firm as Intern AutoCad Technician. 12/15/07 We are proud to announce that we have been awarded the plumbing and electrical design contract for the restoration of the historic Kings Daughters Home in Durham NC. The Crossman Properties is planning on renovating this historic structure near Duke University East Campus into a Bed and Breakfast. 11/09/07 We are proud to announce that we have been awarded the design contract for several upfit projects in the Ardrey Kell Shopping Center in Charlotte NC. 11/06/07 We are proud to announce that we have been awarded the plumbing and electrical design contract for the renovations for Seasons @ Southpoint memory care facility in Durham NC. 10/15/07 We are proud to announce that we have been awarded the design contract for several upfit projects in the Youngsville Crossing in Youngsville NC and Shoppes at Battle Bridge in Raleigh NC, Landstown Commons Shopping Center in Virginia Beach VA, Cary Park Town Center in Cary NC. 05/29/07 We are proud to announce that we have been awarded the electrical design contract for one of the new East 54 buildings in Chapel Hill NC. 03/04/11 East 54 building 100 has been awarded LEED Gold by the USGBC. Building 100 is the 9th LEED-Gold Core & Shell building in the state and the first in the Chapel Hill area. 06/04/11 East 54 building 100 has been upgraded to LEED Platinum by the USGBC. Congratulations Lee and the entire design team. 05/23/07 We are proud to announce that we have been awarded the MEP design contract for Fire Station #15 in Durham. 05/22/07 We are proud to announce that we have been awarded the electrical design contract for the shell restoration of the historic Venable Warehouse in Durham NC. 04/23/07 We are proud to announce that we have been awarded the electrical and plumbing design contract for the new Castilia at Meadowmont building in Chapel Hill NC. 04/16/09 Castila at Medowmont held its grand opening. Congratulations Micheal, we are proud to have been a part of your project. 04/19/07 Zack has decided to leave us and move on. We wish him the best. 03/12/07 We have been invited to defend our title again in this years East Carolina IES golf tournament to be held at Wake Forest Country Club. Wish us luck with the new guy on the team. 4/19/07 Unfortunately we finished as an also ran as my team deserted me. 02/17/07 We are proud to announce that we have teamed with Bryant Durham Services as registered APC solution providers. 01/19/07 We are proud to announce that we have been awarded several MEP design contracts for new retail fitups in the new Alamance Crossing in Burlington NC. 01/10/07 Another successfully Open House was held. We appreciate the fellowship with all our friends that attended. This was our 7th annual open house and we hope the tradition to continue for years to come. 01/07/07 We are proud to announce that we have been awarded the electrical design contract for the 75KW Solar Photovoltaic power plant at the RBC Center in Raleigh. 10/01/06 We are proud to announce the we have been awarded the electrical design contract for ConAgra Foods plant upgrade/expansion projects in Garner NC. We also designed the original packaging plant expansion back in 1995. 09/21/06 We are proud to announce that we have been awarded the engineering design contract for The Steel Network new office and manufacturing facility in Durham. 08/21/06 New Employee - Zack Tomlin. We welcome Zack as he joins the firm as Intern Mechanical Engineer. Zack is a NC State graduate. 07/02/06 Thomas Road Baptist Church opened their 50th anniversary service in their new facility in Lynchburg, VA. Congratulations Dr Falwell. We are proud to have been a part of your project. 06/09/06 The Rescued Treasures Thrift Store held its grand opening. Check out our photopage and the Mayor cutting the ribbon. We wish Ernie Mills and the Rescue Mission the very best. We are also continuing to work on several projects at the Samaritan Inn. 03/25/06 We have been invited to defend our title in this years East Carolina IES golf tournament to be held 4/27/06 at Wake Forest Country Club. Gary, Ed, Al and Rusty are up to the challenge and Tina is ready with the beer cart. Lets Play. 04/27/06 Bummer we got rained out. Maybe next year. 03/16/06 We are proud to announce that we have been awarded the design contract for two Randy's Pizza locations. NorthGate Mall in Durham and McCrimmon Corners in Morrisville. 8/05/06 Randy's Pizza is now open for business at NorthGate Mall. 2/15/07 Randy's Pizza in McCrimmon Corners is now open too. Good Luck Randy. Click here to see recent write-up. 02/15/06 We are proud to announce that we have been awarded the design contract for several renovation projects at Verizon in Morrisville NC. 12 years after I did the original design, a web search brought them back to us. 01/20/06 We are proud to announce that we have been awarded the electrical design contract for American Healthways new call center in the RDU Center in Morrisville NC. 01/02/06 Delwin has decided to move on and seek other opportunities. We wish him the best of luck. 12/19/05 We are proud to announce that we have been awarded several MEP design contracts for new retail fitups in the new Kings Grant Commons in Fuquay-Varina and the New Shops on Main in Williamsburg VA.
11/04/05 New Employee - Davin Moorman We welcome Davin as he joins the firm as Intern Electrical Designer. Davin is a graduate of the University of Arkansas. 01/30/06 Davin has decided to move on and seek other opportunities. We wish him the best of luck. 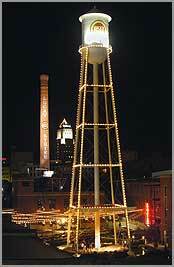 09/17/05 We are proud to announce that we have been awarded the design contract for the Water Tower Lighting Project at American Tobacco Complex in Durham NC. Light Up Durham night was held on Dec 01, 2005. 08/08/05 We are proud to announce that we have been awarded several MEP design contracts for new retail fitups in the new McCrimmon Corners in Morrisville, Cornerstone Commons in Raleigh and Alexander Square in Durham NC. 08/05/05 We are proud to announce that we along with David Ripperton architect, have been awarded the design contract for the BB&T renovation project on Duke Street in downtown Durham NC. 07/18/05 We are proud to announce that we along with David Ripperton architect, have been awarded the design contract for new Wyshbone Cafe in the Erwin Terrace Durham NC. 06/22/05 We are proud to announce that we have been awarded the MEP design contract for the new office building projects on Shannon Drive in Durham NC. 06/16/05 We are saddened by the death of Tina's mother, Mrs Dorothy Pettiford. Our prayers and support go out to Tina and her family in this time of loss. 05/27/05 We are proud to announce that we have been awarded the plumbing and electrical design contracts for the historic Chatham Mill renovation project in Pittsboro NC. 04/29/05 We are proud to announce that we have been awarded the electrical design contract for the Blacknall Memorial Presbyterian Church Expansion project in Durham NC. 10/01/05 Construction is underway and scheduled to be complete sometime next year. 02/11/05 We are proud to announce that we along with David Ripperton Architect, have been awarded the design contract for several tenant upfit projects at the new NorthLake Mall in Charlotte NC. 02/24/05 We are proud to announce that we have been awarded the electrical design contract for the Thomas Road Baptist Church project in Lynchburg VA. 07/15/05 Construction is underway and the church is planning for a 50th anniversary service to be held July 2, 2006 in the new building. 11/22/04 We are proud to announce that we along with David Ripperton Architect, have been awarded the design contract for the Alamance Municipal Services Building in Burlington NC. 10/05/05 Construction is complete and an Open house was held in honor of all who contributed to the project. 06/15/04 We are proud to announce that we have been awarded the electrical and plumbing design contract for the Jefferson Station project located in West Jefferson NC. The initial phase consists of 275,000 sqft of historic shell redevelopment for retail and residential condos. 05/30/04 We are proud to announce that we along with David Ripperton Architect, have been awarded the design contract for the Eleazer Mexican restaurant project on Roxboro Road in Durham NC. We also designed the La Superior Meat Market at the same location in '02. 01/15/06 Eleazer's in now open for business. 05/21/04 We are proud to announce that we along with David Ripperton Architect, have been awarded the design contract for the Zen Blu restaurant project @ Patterson Place in Durham NC. 05/19/04 We are proud to announce that we have been awarded the design contract for the new Vinny's Italian restaurant project at Churton Grove Center in Hillsborough NC. Vinny's is now open for business. Good luck Joe. 04/23/04 We are proud to announce that we along with David Ripperton Architect, have been awarded the design contract for Star Lu's, a renovation of the Seasoned Ticket restaurant in Durham NC. 11/08/04 Star Lu's is now open for business. Good Luck Sam. 12/22/07 Sadly Star Lu's has closed. We appreciate your effort Sam and wish you the best in the future. 04/15/04 We are proud to announce that we have been awarded the electrical design contract for the Lynchburg Christian Academy classroom project in Lynchburg VA.
04/08/04 We are proud to announce that we have been awarded the MEP design contract for the Missionaries of Christ project in Durham NC. 03/08/04 New Employee - Delwin Barnes. We welcome Delwin as he joins the firm as mechanical designer. Delwin is a graduate of Alabama A&M University. 02/24/04 We are proud to announce that we have been awarded the electrical design contract for the Liberty University student Recreation services project in Lynchburg VA.
02/06/04 We are continuing with upfit projects and the final stages of the American Tobacco campus located in downtown Durham NC. expected completion of phase I is June 1, 2004. 01/28/04 We are proud to announce that we along with architect David Ripperton, have been awarded the design contract for a new restaurant project at Erwin Terrace Durham NC. 9/15/04 Chai's Noodle Bar is now open for business. Good Luck Jimmy. 01/02/04 We are proud to announce that we have been offered the opportunity to provide design services for the Rescue Mission thrift store on Cornwallis Road in Durham NC. 06/09/06 The Rescued Treasures Thrift Store held its grand opening with the Mayor cutting the ribbon and Gary saying some encouraging words. We wish you the best Ernie. 12/10/03 Annual Open House. Another successful open house. Thanks to all our clients and friends that came. Sorry no pictures, Ed left the camera at home. 12/05/03 Cheryl is expecting to deliver her baby soon. She has left the firm to focus on her new family life. Cheryl had her baby. She and her boyfriend have a fine young son. 08/8/03 Good Luck - Kevin Kirk was a huge asset during the summer and we wish him the best as he returns to school this fall. 07/01/03 Sunderland Engineering is now Sunderland Engineering, PLLC. 06/18/03 We are proud to announce that we have been awarded the electrical design contract for The Dawson on Morgan a Residential Condo Project in Raleigh NC. 10/27/04 Greg held a hard hat party to show off their progress. Good Luck Greg. 06/01/03 Promotion - Tina Raneri has been promoted to Electrical Design Intern. 05/13/03 New Employee - Kevin Kirk - Kevin joins the firm as summer intern. He is currently attending Western Carolina and is seeking a dual degree in Engineering and Construction Management. 05/01/03 We are proud to announce that we have been awarded the electrical design contract for NOVO NORDISK Expansion Project in Clayton NC. 03/14/03 Good Luck - Well wishes to Cindy Daniels as she moves on to seek other career opportunities. Over the past year Cindy has worked on numerous projects and has been a great asset to the firm. 01/23/03 Congratulations Gary and Velvet on the birth of another son. We wish you and your family the best. click on this link to see their new baby. 12/11/02 Annual Open House click on this link to view photos Another successful party was held for all our friends and clients. 09/15/02 We are proud to announce that we have been awarded the electrical and plumbing design contract for the historic American Tobacco campus located in downtown Durham NC. The initial phase consists of 475,000 sqft of shell redevelopment. 05/15/02 New Employee - Cheryl Miller We welcome Cheryl as she joins the firm as CADD technician. 05/03/02 We are saddened by the death of our good friend and colleague Mr Julian G. Olive. Our prayers and support go out to his family in this time of loss. 04/15/02 Sunderland Engineering acquires local design firm We have expanded the office again and are pleased that Ed Cheek has joined his forces with ours. Ed brings many, many, many years of experience and many local clients with him. Ed will join the firm as Director of Marketing and Plumbing Design. 04/04/02 New Employee - Cindy Daniels We welcome Cindy as she joins the firm as electrical designer. 01/03/02 Good Luck - Well wishes to Steve Richardson as he moves on to seek other career opportunities. Over the past 2ï¿½ years Steve has been responsible for numerous projects and has been a huge asset to the firm. He will be greatly missed. 12/20/01 Annual Open House Another successful party was held for all our friends and clients. 09/27/01 New Employee - Tina Raneri We welcome Tina as she joins the firm as CADD Technician. 12/14/00 Annual Open House Another successful party was held for all our friends and clients. 08/30/00 Sunderland Engineering Updates Web Site Many thanks to CarolinaGeeks for help in designing and hosting our website. 03/15/00 We are proud to announce an association with Rick Keil and Triangle Engineers providing expert HVAC design. 01/15/00 Sunderland Engineering expands office. We have acquired additional office space at our guess road location. 12/27/99 We are saddened by the death of Gary's father, Mr Ralph K. Sunderland. Our prayers and support go out to Gary and his family in this time of great loss. 09/15/99 New Employee - Steve Richardson We welcome Steve as he joins the firm as Electrical Designer. 03/15/99 We are proud to announce an association with Julian Olive and Ed Cheek who provide HVAC and plumbing design services. 12/04/98 Sunderland Engineering Establishes Internet Presence. 09/15/98 New Employee - Ron Wood We welcome Ron as he joins the firm as cadd technician. buncha more stuff happened somewhere here. 07/01/94 Sunderland Engineering opens for business.